Calbike says your help is needed to secure funding for bikeways before the state legislature calls it quits for the year next Friday. Implement a Complete Streets policy for state funding: SBX 1-1 will require “new bicycle and pedestrian safety, access, and mobility improvements” in every state-funded road maintenance project. It calls for sidewalks and protected bike lanes or bike paths in transit-dense areas on most roads with a speed limit over 25 miles per hour. Thank you, Senator Jim Beall for proposing sensible complete streets policies. Increase dedicated funding for biking and walking: ABX 1-23 doubles the size of the Active Transportation Program (ATP) with a $125 million increase. The ATP is the sole source of state funding dedicated to biking, walking and Safe Routes to School projects. Last year, the ATP was underfunded by nearly $800 million—many shovel-ready walking, bicycling and safe school access projects were denied funding. This bill also includes an innovative grant program that will fund complete bikeway networks connecting every destination in communities like yours with unbroken webs of bike paths, protected bike lanes, and quiet bicycle boulevards. Thank you, Assemblymembers Eduardo Garcia, Autumn Burke, and David Chiu! Contact your state Senator and Assemblymember now to let them know that you support implementing strong “complete streets” policies and increasing funding for biking and walking. Streetsblog has more information on the second bill, which would double funding for the Active Transportation Program. Looks like Metro has a five-year plan for building out bikeshare in the LA area, starting with Downtown, then expanding to Pasadena, Central LA and University Park. If they stick to the schedule, it will reach Hollywood and WeHo in 2019-20, and most other areas the next year. Meanwhile, Santa Monica Spoke is recruiting volunteers to do outreach and spread the word about Santa Monica’s new Breeze bikeshare system. 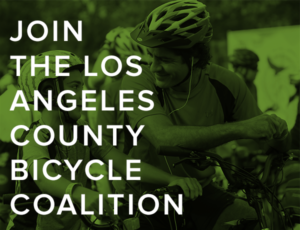 They also invite you to become a founding member of LA County’s first bikeshare system. And the debate goes on over whether helmets are needed for bikeshare bikes. I received the following email earlier this week from the author of a new book about ghost bikes. I have finally finished a project that I have been working on the last few years that is near to my heart. I traveled the country photographing ghost bikes (white bikes places as memorials for cyclist fatalities) and have self published a book called: Don’t Forget Me; Ghost Bikes-A Photographic Memorial by Genea Barnes. I would appreciate if you took a few minutes to check it out and if you like it, share it with those you think might appreciate it. This project has taken a long time, and I really wanted to share the final product with all those that I have reached out to along the way. The book is divided into 2 sections. The first, the journal of my travels while searching Ghost Bikes, including small photographs that document who the bike was for, and where it was located. The next section includes images that were created from the photographs that I took. The book is hard cover, 148 pages, and measures 10.25in x 10.25in x 0.75in (thick). Portugal’s Nelson Oliveira wins stage 13 of the Vuelta in a breakaway from the breakaway group, while American rider Larry Warbasse discusses what it’s like to suffer in a challenging mountain stage. The editors of Australia’s Ella Cycling Tips respond to the comment by Oleg Tinkov, owner of the Tinkov Saxo team, that Chris Froome was riding like girl as he fought to rejoin the peloton despite a broken foot; they agree, but not the way he meant it. 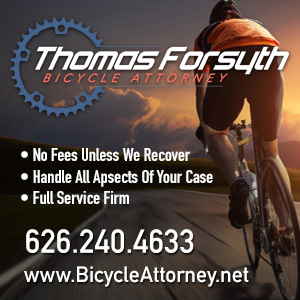 Cycling News talks with cycling scion Taylor Phinney about his long road back from a devastating injury at last year’s nationals, and looks forward to the coming world championships in Richmond VA. He says the Americans will be on the offensive, while the US men’s and women’s teams were unveiled Friday. No surprise here, as the Astana team has been booted from the anti-doping Movement for Credible Cycling after letting teammate Lars Boom compete with an un-credible cortisone level, not to mention the five Astana riders busted for doping. And it wasn’t just my imagination; four riders in the pro peloton have been taken out by race motorcycles this year. The Guardian says cycling shouldn’t forget its rich history and tradition, despite a proposal to develop a “season-long narrative” to produce a single champion at the end of the year. 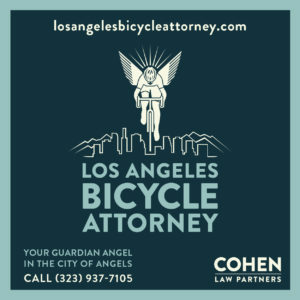 The Guardian offers a pretty good look at LA’s underground bike racing scene. If you can look past describing riding groups as “tribes” and “gangs.” Thanks to Erik Griswold for the link. Calling all planners. Councilmember Mike Bonin’s office is looking for a “seasoned” professional to join their staff as Senior Planner. After last night’s curry, I’m pretty seasoned myself. CicLAvia introduces the people behind the scenes who bring you the world’s largest open streets event. There’s a special place in hell for someone who’d steal a bike a Long Beach family who uses it as therapy for their two-year old autistic kid. The LACBC’s monthly Sunday Funday Ride rolls through the parks of Long Beach this Sunday. 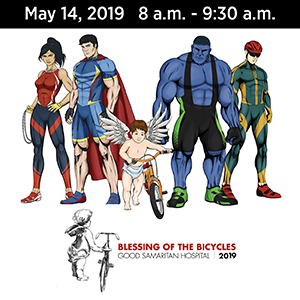 The Grand Opening of Metro’s first Bike Hub is scheduled for 10 am to noon on Monday, the 14th at the El Monte Metro Bus Station. Show up with your bike and get a free 30-day Metro Bike Hub Pass. A Dana Point woman faces a second degree murder charge for killing a woman who was walking in a bike lane with her blind grandson, after knocking back at least a dozen drinks before she got behind the wheel. This is what the air rescue of an injured cyclist looks like from the perspective of a Contra Costa County rescue team. Modesto residents pitch in to replace a 75-year old man’s recumbent bike after it was stolen; the bike was the only form of transportation for him and his wife, both of whom are being treated for cancer. An 11-year old Hollister boy killed in a collision five weeks ago was riding brakeless, though police aren’t sure if that was why he apparently rode out in front of a bus. Someone’s assaulting cyclists in Portland to enforce their own vigilante rules about who should ride on a bike path, and how. Protected bike lanes are coming to Provo UT. Accidently start an Idaho wildfire while on a mountain bike poop break, and get a bill of up to $75,000 to put it out. Two-thirds of the bike collisions in Sioux Falls SD involve people riding on the sidewalk. Boston Magazine responds to that anti-bike screed in the Boston Globe earlier this week, while the local public radio station says bicycling remains a relatively safe way to get around the city, but could be made safer. The NYPD’s 19th precinct cracks down on cyclists while virtually ignoring people in the big dangerous machines; they ticketed more cyclists in three hours than they did speeding drivers in seven months. Evidently, they get right on it if you steal a bike from a B-list New York celeb, though. A writer for the Atlanta Journal-Constitution complains about proposed bike lanes on Peachtree Street, saying it might increase the 1% who ride bikes to 2%. The head of Canada’s Green Party can’t ride a bike. Personally, I’d rather see a politician who doesn’t ride a bike but supports bicycling than someone who can but doesn’t. The Economist says there’s a worldwide shift under way from keeping cars moving to making it easier to walk, cycle and play on city streets. In yet another piece from the Guardian, a former bike courier explains why he rode 150 miles to donate his bike the people in a French refugee camp. A London bike safety campaign puts candidates for mayor on the spot, asking them to commit to a 10-point plan to Stop Killing Cyclists. In China, if a driver hits someone, it pays for them to make sure their victim is dead. Even if that means backing up to run over them again. Thanks to Alan Thompson and Megan Lynch for the heads-up. Don’t drive drunk on an Iowa bike path at 4:30 in the morning. Don’t shoot your boss if he tells you not to ride your bike to your second floor office, and don’t beat your neighbor to death if he complains about how a boy is riding his bike. And once again, Bikeyface nails it. Get out there and enjoy the great SoCal weather this weekend. But don’t forget that three day weekends mean more drunk and distracted drivers on the roads, especially with both UCLA and USC opening their football seasons at home on Saturday. So ride safely and defensively, wherever you ride. I want to see you back here next week. Barring any breaking news, BikinginLA will be off Monday for Labor Day. We’ll see you bright and early Tuesday morning. Bikeyface for President! Or at the very least city councilmember. If she was in LA and I lived back in Highland Park again, I’d vote for her to replace Gil Cedillo. Small praise. I’d vote for Atilla the Hun to replace Cedillo. Couldn’t be much worse. Funny thing is, Bikeyface used to live in LA, but didn’t start her comic until she moved to Boston.